If you messed up on your probation, the judge has the authority to impose the original jail sentence. Laura M. Baker will advocate for you to avoid this worst-case scenario. Our knowledgeable attorneys have helped some clients stay on probation rather than going to jail. The key is being proactive. 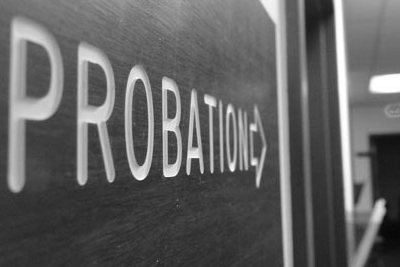 Contact Attorney Baker today to discuss your probation violation. Based in Concord, North Carolina, we take cases in Cabarrus, Rowan, Stanly and surrounding counties. Contact our Concord lawyers to arrange a consultation, or brief us on your situation here. Criminal defense lawyer Laura Baker will represent you at your probation revocation hearing. Before that date, she will advise clients on steps they can take to convince the judge to grant another chance: paying money owed, finishing classes or treatment, attending A.A. meetings, connecting with your probation officer. If your violation was financial, they can try to show the judge that it was because of hardship and not willful. In the event your probation is revoked, she can still try to limit the consequences. If the judge says no more second chances, our goal is to have clients sentenced to no more than the minimum time of the original sentence range. Call us at 704-669-8165 or contact us online for a confidential consultation. We encourage you to contact our Cabarrus County office as soon as possible to arrange a confidential consultation. The earlier a criminal defense lawyer is involved, the better your chances of avoiding formal charges or minimizing the penalties. You can reach us at 704-669-8165 or contact us online. We proudly serve Concord, Kannapolis, and Harrisburg, NC. We are now providing legal services in Rowan County and Stanly County. Copyright © Laura M. Baker, All Rights Reserved.